Whether it’s spicing up your blog posts with relevant premium images, creating professional videos, printing calendars, T-shirts, billboards, invitation cards, business cards, newspapers and magazines, etc, Depositphotos is your only stop point for Stock Images, photos, Vectors, textures, Illustrations, editorial files and videos. Top quality file buyers: You can signup and instantly access millions of high quality professional stock photos, vector images, editorial files and videos from the world’s top contributors. If you are blogger or designer, you are covered. Top quality file sellers: Are you a photographer (still or motion pictures) ? Are you a photojournalist?, Are you comfortable with creating stunning vector files? You can sell your files on this marketplace for profit. Affiliate Marketers: Affiliate marketing is simply selling other’s products online and earning commissions. They have an affiliate program for you to promote the platform and make money. Quantity and Quality: The platform has over 36 categories to chose from. This covers every sector of activity. whatever business you are into, you are surely going to find the top quality stock images that perfectly answer your needs. The quality of these images is impeccable. Jump on board and find out for yourself. Size: Don’t be limited by size. With this stock image marketplace, you can download photos, vector images and videos of any size. No language barriers: Services are provided to customers in 14 languages. That means you can access images in French, English, Italiano, etc, completely eliminating any failure that may result from not understanding English. Customer support: If you have need for customer service (in any language) just hit the live chat for instant support service. No need to wait 24 hours for your mails to be answered. The trust factor: Over 590 000 great feedback from more than 1,391,000 satisfied customers. You cannot be wrong trusting them. NB: Irrelevant, one-line or short comments will be rejected. Reply and reply to other comments. The more your comments on this post, the higher your chances of being picked. First of all I’d like to say that I didn’t won the last two giveaway and seems like I had to try my luck this time too. Now coming to the post, I’ve already tried Depositphotos last year and I must say I’m fully satisfied with the images quality. We must use photos that are not copyrighted otherwise we gonna face issues. You are right at the ending point of this comment. We should use only non copyright photos for personal use. A lot of people facing copyright issues. Why did you not use use Depositphotos this year? When I used to be a newbie I had no knowledge about all this stuff. I just used to copy images and publish it. Then do you know what? One person sue me. I faced a lot of problem to get out of that. From then I am using non copyrighted images and I think deposit photos is the best option for me. Nikhil, you mean someone sue you because of using their images? I’ve used a lot of non-copyrighted images and have not yet been sue, maybe because I always give credit to the sources or something. Did you gi9ve credit at all? Well, this is a mistake that many newbies tend to make. You know, mistakes are part and parcel of this game. No shame in committing them. It is all about learning from mistakes that matters! What say? Usually, newbies prefer to play it cheap. I mean, they prefer to spend little to no money for blogging needs. I must admit that I was no different either! So, in a bid to keep expenses low, they tend to say no to paid stock photos. They make use of the readily available images that they get from Google search! Little do they realize that doing so can result in bigger problems! It is ignorance, to an extent, that causes problems like these. They don’t know what copyright infringement is, what it could result in etc. I must admit that Depositphotos is a good place for them to get started. Yes Arun, you are right to an extent but I believe you only use what you have to get what you want, that means, if you have none then focus on none – Google images but if you do have then you should not hold back your spending spree as it always have a good results attached to it. And for those of you using Google images like me, I say be careful and make sure you’re giving credits to whom it is due. Indeed you right! I know that there are many people who using photos from google search and this is a bad idea wich may causes problems and breaking the law. Nikhil, It’s really sad to know that you’ve got into problem by using the copyrighted images. First of all think how would you feel when someone stole your content or hard work in the same way they feel so they may got into actions. Yeah of course depositphotos are really great option for you as they provide great images and good subscription packs. Really, I don’t see it as stealing….you know why? I searched for image on Google and it popped out an image for me, I downloaded it, use it on my blog with credit. And you said I will be sued? I don’t think so. But I’m guessing I’m need to start making use of this so called DP as they’ve gotten a lot of further reviews here, which I believe is a plus. Btw, is it free or paid or the two package all together? Yes, I also think that if you use pictures from google images from instance. As long as you give the proper credit where it is due, it should be all right? Or does it still count as copyright infringement or give reason for even suing? I’d love to be further enlightened on the matter. I guess Enstine is already using DepositPhotos as he has written the review on DepositPhotos means he had used it that’s why he is able to write a great explaining review on it. Yes, it seems that he is using Despositphotos since long time. Enstine should give answer here so we can make sure this. Hmmm….is Enstine using DP already? Well, I don’t think so..you know why? BEcause it’s not a must to have used a particular product before you can review it. I’ve not used MSocialH before but I remember doing a review about it. For example, he reviewed an X theme last week but as you can see he’s isn’t using it here. Did you get that now? I guess you understand what i want to convey and ya Enstine is naturally a endowed reviewer. Oh yeah I understand you man and I think you’re just so spot on about your thoughts. It’s true you need to have used a product before to be able to write a compelling review about that particular product but truth is these days it ain’t like that. All you need to do is do some kinda research to see what other peaople have written concerning that product you’re intending to write a review about as that will help you in writing your own review. I found Depositphotos years ago while I was in search for cheaper stock pictures the images are fresh & of things I need for my biz. I had started to get disappointed & nervous when searching for a good site. I kept finding all of the same exact images on all of the different sites! My competitors were all using these same, dull, stale images. I don’t want to be like my competitors! I want to stand out!! Azza, it’s good that you have a good experience with DepositPhotos….That’s cool! So in your own experience, what do you think about them? Can you vouch for them anytime any day? In my own experience i found Depositphotos to be an excellent and good way to find Blog post images ..etc and it offers a great service to its users and contributors. I think that the quality of their images is really high, some of their photos look really adorable! Also, once I faced issues with the download of one image, and their customer service replied me in light speed, I was impressed by their employers.This is what can i say about Depositphotos. Thanks so much Azza, that’s a positive review and I’m already guessing I will jump on it some of these days myself. You have an idea if I can actually use it free for sometimes before i upgrade to the paid version? Its nice to see you again replyin’ me . That’s great idea so, you can try the service with their free trial, and after downloading the images for free you can decided for upgrade to the paid version. Of course , it must have used and analyzed it well before writing it review because it made everything clear about Deposit Photos in short words 🙂 Well, the only thing I missed is its flip backs. Do you think there are any flip-backs for deposits photos ? If yes, what are they ? Let me guess. You are already considering of jumping on DP’s bandwagon, right? Well, it’s cool and like you I’d appreciate if Enstine or maybe anybody who’s been using it could just tell me what the flip backs are. What say? Its good you find Depositphotos useful and Enstine is good at writing reviews so better not to compete with him. And What does the mean Flip back i didnt understand? Well I use handful of blogs and I was using a 6 month subscription plan and I guess got lot of images in my hard drive which is enough for more couple of months. To be honest I really forgotten about the images part and run tech blogs so usually have to use images and give specific credits to the owners. If you were using a six month subscription plan then why you did not renew again? And how much images you have got in your hard drive? I’m guessing you have a good knack of asking question ma’am….I should add you on facebook and add you to my symposium section – as we will be talking and discussing about real life experiences and that will involves asking questions. That’s good to hear from you samir that you use 6 month Subscription to get images and had downloaded a lot of images but as we all are tech bloggers mostly we do require new stock of images and to get them we have to google it so we do have to mention the credit back to Owner of the images. Actually it’s like a subscription pack so thought to save some money by not renewing the pack and as I already mentioned I have good amount pictures. So I need to worry for some months more. However I’m also using non copyrighted images or giving credits to them. I have just signup for free and from tomorrow I will start download images on my new laptop….I’m glad I came by this post by Enstine and the review of Samir and that of others. Thanks guys! Oh I grab why now and I’m sure Dana also have. So while you were with them for those six months, you downloaded all necessary images and kept them in your file folder, right? Then that’s a really wonderful idea. From this comment i got a great idea how to create content for your post ? even i would also try to gather everything related to post like Photos, Graphs before writing about anything because it will help us to create an awesome content and there are less chance of making grammatical mistake. Oh you did? Now, that’s quite very impressive man! Images indeed speak louder than normal text and I say good and epic images breathe attractiveness on your blog and makes people wanna engage with it. Yeah you are right I’ve made a backup of all the images that are necessary and useful in feature. But I’m also planning to get hands on it soon as I’m starting new blogs in a week. That’s a bright idea indeed and I will be dong that myself from tomorrow…let’s see what tomorrow turns out to be, I definitely will inform you if I found success at it. Thanks to share your experience! Have in the past been using Google images and I still use it…….I’m sure once I’m all set by next month I will start using some of this platforms and maybe DP too. Having great images is an important part of creating a successful blog, and even if we’re lacking in the photo skills department there are ways to get great photos without stepping on copyrighted toes. So, about using only non copyright photos for personal use , i found this great idea “Take your own photos” is the best way to prevent using unauthorized copyrighted material, is to make your own material. I truly agree with your statement that we should always use the photos that are not copyrighted. DepositPhotos is the best options for bloggers, journalists, Digital marketer and specially for affiliate marketers. I’m glad you agreed with my statement. Actually images are really great for getting traffic from search engines and I guess people usually search for images from google search even I’m too. I think image owners come to know about their original photos from search engines and hence they want the blog owners to remove their images from certain blogs. Secondly for tech blogs, we gonna need to use images of mobiles, tablets, laptops or etc from the blogs or official sites but in this case we can’t get those pictures from depositfiles I guess. I mean the recent images or launch images of certain product. During these weeks I’m also using my handy camera for clicking the pics and using them too for my blogs and its really great feeling to use own pictures. Samir that’s was a really Great reply i have ever found, you had mentioned everything what a owner of Pictures thinks and how they get notified from Search Engine and ya as we are tech bloggers we need every picture to be non copyright protected which is not possible so Website like Depositphotos will help us in future starting from here. Oh okay…..I grab how that really works now….but here’s what I feel though. Get yourself a really cool camera and start taking your pictures yourself. And if in case you can’t or can’t get a camera then you ain’t no other choice that to use site’s like DP. What say? Nikhil, you are right. Virtually every internet marketer, just like Enstine talked about in the post need images and we should be careful of the kinda images we put up….Well, I use google images and so far, no issues. So it was google that sued you? Well, I’m sorry to here that and I pray they won’t get to me. Ya i understand Sam about your issues. So be happy and already you won a contest on Enstine Giveaway and i hope again this time you will be winning this time too. Oh yeah I know you do and why I loved you for understanding me. Thanks! Yeah have read the review and I must it’s typical of Enstine Muki, I’m already leaving comments and I’m so sure that I again will win. I wish you success too though. Enjoy! Hey Samir, you are an early bird this time around……….and early to rise always mean early to succeed…I wish you success this time around. BTW, you said you’ve used the platform before, right? Is it cool or not? Fine. Sir Enstine has really done a great job with this review and I’m sure a lot of us will be using it from now. So how are you today? Hope fine? First of all I visit “enstinemuki.com” twice a day during this month as I’m really excited to read great posts here. And also contests are another reason to participate and I must say it’s like a luck and finally see the results. Actually I was waiting for your great comment and here you are! Yes I had a 6 month subscription last year and it gone very well without any complaints and got some stock images downloaded to the hard drive which I’m using eventually. I focus on a tech blog and its my primary income source too so here on tech blog I have to use original pics by giving the original credits to the owners. Perhaps I won’t get any product pictures as early as I want at depositphotos. But after reading this review I guess I’ll have to consider it once gain and I’ll soon go for it. Awwwh………I’m glad you think my comments are great. Thanks! Oh I see…and I say again, that’s a pretty great idea. I can imagine how many pictures you would have downloaded back then and how stressful it must have been for you. So from your own experience brother, what do you rate this DP guys? Cause I might be jumping on it. I thin if it’s that great then you should jump back on it. what say? Yeah I’ve been around most of the blogs and have been interacting with fellow bloggers and trust me I’ve learned lot of things in the past 6 months which wouldn’t be possible without blog comments. The contest like this will surely get some additional information by knowing the views of readers. Yeah it’s been really annoying to download all the images but I was downloading them daily so that it would look fishy. Good to see you here have you used this platform before if not then i would like to use it because i had used it and feeling great it has wide content from Abstract Photographs to the Natural Photographs. Have never used it, I tried using StockPhotos in the past but I couldn’t afford them dollars in the past but I’m sure from next month things would have been rosy for me and I would be able to jump on those quality premium stuffs. I’m glad you’ve had prior experience with it. BTW, why do you stop using them or are you still using them? Guys! A quick announcement – you should be wary of this guy called Arun has everywhere he steps into, he always take over…I’m sure he will soon be tallying 100 comments. So be careful! Speaking about your comment and your opinion of trying, I think that was a great one. You know I once read somewhere that, “You only miss 100% of the shots you don’t take”. Caught knowledge from that at all? That’s so damn right! Don’t expect anything if you don’t do…and you my friend has done. This is your third participation and hoping you will go home with something tangible at the end of the day. (Just that, I’m also looking to winning the coveted prize too) So how do we do it now? Well, just wait and see how things will turn out to be, right? He’s got some cool experience with this DP guys and I love what he did while he was yet with them….I mean it’s wisdom to have been able to download all of the pictures you will be needing when yous till have an account with them, isn’t it bro Arun? I personally like that idea, don’t know about you. I love your words in the last paragraph, really nicely worded….”A good testimonial from a satisfied user. It is something that each brand and business craves for.” Even me at a time needed it so badly that I contacted some of my friends and they’d provided me some cool testimonies….cool right? Ha ha, Sam, I’m not Superman to reach those tallies that you just shouted out loud! I wish I could do that feat. But you know, leaving good comments and having good interaction takes some time! 🙂 And I’m short on time these days. See you around! Best of Luck! Oh sure you can if you want to…I see you already have about 45 comments on Kingged…a good number if you ask me. Something I feel you could achieve if you want to on here. I hope I’m not wrong. Just like I don’t have time these days plus I also I’m just recovering and too much of time spent with phone and sitting behind a desktop is also affecting my vision and my eyes is now kinda blurry. I love that stance of yours man! It’s better to try and fail than not to try at all. I can’t bare to ever live my life without exploring things, even though I fail in them. After all statistic have it that failure is mightier than success and if you were to look it very closely, you will soon realize that “success is failure turned inside out”. Hahaha, you are right Sam, one should be careful of that big Arun. Sometimes when i see his comment on Kingged.com I use to be afraid. The number of comments each day is really awesome and large, that it cannot be easily outran. It is a good spirit though. I will say keep it up bro. I guess enstine as already mentioned in the first contest that the idea of blog commenting is from Kingged.com which is really awesome to grab attention of more readers. Arun is indeed trending at kingged and I’ve already pointed about this in previous comments. Hi Arun, you are right. A company will always support a post or testimony that talks about how people have been enjoying their services and products. It will really be awesome to write the review. Good to hear from you. I guess the statement ” Arun has everywhere he steps into, he always take over…I’m sure he will soon be tallying 100 comments. So be careful!” applies to both of you and I’m guessing I’d see lot of more comments from you guys. And about “Trying” I guess you are utterly right and I’d certainly believe that we can achieve anything in the world only by trying hard until it’s achieved. By following the same strategy of “trying” lot of persons are successful today. I think you would also get into fan list if you gonna plan to subscribe to it’s premium packs. Hi, Samir, it is really an awesome giveaway. You don’t need to worry about the last two contest, this is another opportunity. There is one thing i will continue to repeat which i love about depositphotos and that is the copyright issue. Sincerely it is really cool, they removed that. One don’t need to worry. Good to hear from you. As you said it very important to be carefully for not using photos that are not copyrighted otherwise you gonna face issues .That’s why If you can’t take your own images, most companies such “DepositPhotos” have press kits available that include images of products designed for just such use.This is much preferred to taking images from another source and likely violating a copyright. Have nice a day bro! Good luck to win this giveaway. Enstine Muki always try to publish unique giveaway on their blog. Now, I will be keep in touch with his blog. Aside from this giveaways Daina, he(Enstine) publish on a daily bases quality and never seen else where contents that will not only help you but affect your life and render you a success of blessings to your generation. But Alas! If only you can implement those lessons he so well shared here on his blog. Thanks for visiting Enstine’s blog and best of luck buddy for this giveaway. Deposit photos is a good option for bloggers like us as hiring an professional photographer is not so affordable for us. Am I right? You are so damn right Nikhil…..Photographers these days charges like hell and it could be so frustrating for some of us just like you rightly said you know. I have this friend who is a photographer and you will think he should be cutting prices for me but not him….he will give me just as it is and men it just tells me why I need to go learn the trade myself or just stick with sites like DP. What say? Hi darak, you are right. You don’t have to worry about copyright issues when using their awesome pictures. Also you, I wish you good luck in the contest. Just remain active. Indeed, using sites such as DP gives you some kinda rest of mind, I mean you don’t have to worry about getting sued and all those other not so cool stuffs that happens when you’re using non-copyrighted images. Nikhil has prior issues on that and I’m so so sorry for the dude. Hiiii Sarvesh good to meet you here it is true Enstine always bring some unique and new content on his blog every time i visit here and i had learned a lot from him How to do blogging, and the idea of writing a review and creating commenting giveaways help him to get some quality members and creating new contacts which helps in increasing traffic. Have known Enstine now it’s been a pretty long while and I could call him my good old friend you know, because that’s what he is. Have been following his blog since when he was still updating EMFastincome – a blog of means – one that I visited every day to learn about how to be a successful blog and best practices of making real money. And I must say my travelings to his blog has been a really nice experience as i from his blog met a lot of great folks who has helped me to where I now stand today. So I’m not surprise he’s always getting us quality post always and also starting this million dollar idea. He’s such a fantastic dude I must say. I have been using Google images and have not yet have any kinda difficulty with it maybe because I always give some kinda credit or something. Although, I will also look to jumping on DP’s radar when the time comes. That’s why i always appreciate your work and as i always tell do the thing you want but follow the rules and regulation. Thanks for the information about this giveaway. Depositphotos is a great website for royalty-free stock photos, vector images, Vectors, textures, Illustrations and videos. I have checked the website and found the images are really good with high quality. I will use the images for my future projects, banner ads etc. I was unaware of DepositPhotos before this giveaway. I really want to thank Enstine for organizing such ultimate contests and making us aware of these amazing sites. I just checked the website and found it as the best option for me. Keep visiting Enstine’s blog. He has many more amazing things to share with you. Now, I am a regular reader of Enstine’s blog. He is such a fantastic blogger. I found so many good reviews and giveaways on his blog. Like you Nikhil, I’m just hearing about them for the first time and have also visited their website and find it really attractive. It’s an option I will give a try when the time comes. Enjoy matey! DP is one of the popular platform among the free stock photos and most of bloggers are using them. I first came to know about it from “jane’s” blog and after few days I grabbed it. I guess it was an year ago. Hey ma’am, how’s you today? Like you, I visited their website and I must commend their work has it’s job well done. I hope when I finally I’m able to settle down, I also will be using DP. Hope you will join them yourself? Royalty free images are vital for bloggers. Images makes a blog post stand out and getting some of these images can be very hard indeed. Thanks for mentioning Depositphotos, looks quite good. This is a good product. Truly, you are very right that Royalty free images are vital for bloggers. Because at this time we are earning so much that we can afford our personal photographer. As Enstine said it might harm our savings. Enstine shared an amazing thing with us. I guess you have used depositphotos so how you feel about it. I have used it and downloaded some nature photographs to my Desktop as a Background Wallpapers and i guess it will also be helpful for my future use also. I am big fan of your blog also. Image speaks thousands of words. So, we should use images in our blog posts. But as we know that we can not use copyright images. So DepositPhotos is a best place to get Royalty free images. I am too a big fan of Shalu maam’s blog. She writes awesome stories as I have just checked the reviews on amazon. I am planning to start reviewing her ultimate books on my blog. Thanks for the appreciation Diana. Best of luck for this giveaway. As i heard that i had visited and had a look at it. I found it really interesting and i appreciate you have used nice pictures in post. Are the Pics you used from Depositphotos ? Wait….I don’t get. Is this site free for all or premium? Enstine said it’s a membership site kind of and some of the guys here are saying it’s free. What should I believe now? Please help me and clarify this. Thanks. I don,t think its free bro, if it was it would have been misused by everybody. Yes from what i see, its a membership site, definitely cant be free. After trying do comment here and let us know how it feels there. It is true that everyone do require photos even if you are a blogger or non-blogger but everyone do require it, After reading the whole review i thought it is also a platform like Flickr but it is so different from it. you are on point Suprabhat, using i have heard some great feedback about thier affiliacy. will be giving them a try too. Hi suprabhat, you are right to say that, everyone needs pictures. I personally love cool and quality pictures not like the ones we download and later see it is blur. Good to see you here. Yeah ! High quality images play an important role in boosting your blog presence so no compromises should be done with it. Yes its true, poor quality pictures will ruin your blogging reputation,affect your loading time and so on, But the most hazardous fact is that of using copyrighted images, i have heard of great sites being nailed to the mud because of this issue. This is where i consider deposit photos of high importance. Nice to hear your opinions tho. There are less websites like despositphotos which are providing high quality royalty free images for personal use. Otherwise so many websites are available for providing low quality images which are really useless. well what i simply mean to imply is that using poor quality photos on your web content will make freak your visitors/readers away with time. But thanks to services like the one DP is offering, we are saved. I guess you bit late to this contest and was waiting for your comment too. As I’ve already mentioned in my above comments I’d certainly say that using copyrighted images or free images won’t give more attraction rather than using a premium pack which is really great to do whatever we want with the images. All these things comes only if we use DP. Hey Godwill even when i was newbie i had used some worst quality images even still was able to get traffic but they leave my blog as soon as they come because of bad quality images which increased my bounce rate. What about your story ? It is a good factor of Depositphotos website that they have affiliate program also so we bloggers can make money also. For newbies its hard to purchase images. So these kind of giveaways are really useful for them. Right Diana you are right this type of Giveaway helps many people and mostly the newbie bloggers who doesn’t know about the rules and regulation we have to follow in blogosphere. Exactly,You’all got it correct,cause when i started up, i had no ideas about most stuffs and that sure did make my blogging path a lil messy. Happy you all see things from that point too. Wish you’all the best in the contest. i wish now we all are now little professional in field of Blogging, which may teach us something like the mistake which may affect our blog. This is another great contest and it’s awesome. I visited Depositphotos and it’s really awesome. I have used one of their photos in a post and it was simply cool and attractive. The photo i used was related to social media. The size was okay and of a good quality. Their vector is really cool for photographers. The categories of photos are simple to navigate. I also love the fact that one can affiliate with them and make money. Welcome to Enstine’s blog ! Yeah DepositPhotos delivers quite attractive and high quality images. After all blogging survives on the basis of your presentation and your images play a key role in boosting your blog presence. Nikhil my brother, your are right about the superb beautification images add to websites. Considering just us bloggers, i honestly cant stay on a bulky post without some images to chill out on after some paragraphs. Its a a no brainer choice to affiliate with Deposite photos and guarantee your blog/websites smartness with sell structured images. Glad to know that you have used photo from Despositphotos. May I see the image link which you have used in your blog post? Because I am fan of social media and want to see what type of images you have used. I guess Enstine is also using DP and you can easily check images here. Also they provide water marked images which are free of course. So try to check from official site. First of all I want to thank you for organizing this awesome contest. I really love these! Earlier, when I used to be a newbie I copied images from other site and used them for personal use and for this google penalized my site. From then I keep looking for sites that deliver free high quality images as we can’t afford our personal photographers at this level. I was unaware of deposit photos before this giveaway.I just checked it out and found it to be the best option for me. Thanks for sharing this amazing thing with us. I truly appreciate this ! Ohh..!! Its bad to know that your website has penalized by search engine giant Google. In how much time your website came back on track? As you mentioned here that you was unaware Desposiphotos before this giveaway. So, before it what websites you have used? I was using freedigitalphotos before but for the larger image size we need to go pro. After checking deposit photos I think this is best option for me to download free royalty stock images. Yeah every newbie faces problem in the beginning. When I started blogging I had no knowledge about this stuff. So that’s why I made that thing and faced the penalty for it. Its all ohk nikhil every newbie suffer some problems even i also had suffered many up and down in blogging journey but Enstine has always helped me whenever i need any help and he always do it. Hello Again… Yeah I have already signed with deposit photos as I found that thing very useful. Thanks for your response. I’m really glad that you’ve opted for depositphotos after reading review here and I wish you are best of luck with your account. Enstine always come with new tricky venture which astonish us with the everyday new innovative ideas. One of them is dopositphotos. I am going to try my hand and truly saying will surely like it. As it is the invention of Enstine. Glad to see you here, I think you are in too for the contest. Agreed about the Enstine tricky and awesome contest. I haven’t seen you in the previous contests which was really great to participate. Its really good to know that you are also enter in this giveaway by giving wonderful comment and checking despositphotos. Enstine is cool guy with sharp mind. Ya Shiwangi is also in this giveaway and as you had mentioned about Enstine Muki that he is cool and sharp minded ya thats really true i have seen how wonderfuly he work on Social media to share his post on Facebook and Triberr. Even He had shared this post on Deposit Photos on Facebook as i had came up here from there only. Hii Shiwangi thats good to hear from you that you are going to join Depositphotos. I am sure you will love it as i had already tried and i even shared it with others also. Do leave your views on what you think about Depositphotos. Images are an integral part of a blog post. Without a good and relevant image, a blog post can never be considered to be complete! 🙂 That’s what my take is, regarding the importance of images. Take a look at all the influential bloggers. Upon checking their blog posts, one will see a trend, the trend of using a catchy image, which is of good quality and relevancy. After checking out the amazing services and products offered by Depositphotos, I can safely say that they are the ones who can provide good images for us to use on blog posts, without breaking the bank. The features they are offering, as I can see from the review, are also useful for bloggers. Economical plans and pricing, size flexibility, multiple language support etc is something that I much value and appreciate! Glad to see that Depositphotos satisfies all those criteria very well. Then there is the quality part. I guess it is something that can be said to be the star attraction here. When it comes to stock photos, the name of Depositphotos is well known. That adds to the trust factor. One can buy images and be relieved about the quality and trust part. I guess that with the right images, one can get traffic and engagement from Social sites like Facebook, Google + etc. Given that these sites show off images in a more catchy way, it is worth giving a try. At the end, all I want to say is that the human brain has a special liking for images. It tends to get attracted to images much quickly than it does to text. So, making use of good service like Depositphotos is a good idea, one that will guarantee good ROI! So the commenting rockstar is here! I’ve been following up your comments at “kingged” and I must say they are really informative and yet descriptive. Now coming to images, Yes without images the article are like just raw material or the soil without plants and the whole attraction for the posts are images and sometimes I say it gives a new life to the blog posts. Certainly, we need to use relevant images which are appropriate for the posts and also blogs. Like we can find the similar pictures at “Jane’s Blog” and by seeing the picture we can conclude that it’s her blogs. I guess its also a part of branding and it gives lot of exposure and bring us more leads. The best thing about “DepositPhotos” are the plans are really attractive and we can easily pick any subscription packs according to our needs and budget. I think their is a small budget pack too. Secondly the images are of great quality with good resolution and perfect combination for the rest of images. Sometimes I use attractive images and by sharing it to social media it gives good referral traffic to my blog or the article I used, It’s a personal experience too. Forgot to mention that I’ve seen great pictures at your blog and seems like you are the on who is capturing it and it’s a great idea too. Wish you a best for luck. Well, that term ‘commenting rockstar’ was a bit too flattering, I must say! 🙂 I’m just a kid playing around in the block. The real commenting superstars are on a different place altogether, believe me! 🙂 The best example is Sam Adeyinka. Okay, talking about your views, that’s a comprehensive take about the product that you have left here. I loved going through it. I liked that point where you pointed out the referral traffic thing. I too have seen that method work to my advantage a lot. Glad to know that the same strategy has worked like a charm for both of us! 🙂 Image, it is sure, has been given increased importance by Social sites. Be it Twitter’s new layout or Facebook enlarging the dimensions of images served. So, it definitely makes sense to leverage this trend and boost traffic, sales and conversions in the process. Yes Samir, lately, I have been snapping photos and using them on my blog posts too. A friend of mine gave me that idea. So, I delve into the photos that I clicked and edit them, so that they can be used on a blog post. Well, that is my attempt to innovate and releasing a bit of creative energy from my side! 🙂 Best of luck to you too bro! Nice to hear your views! Yes bro, I back your claims. Images are indeed good ways to capture the attention of visitors. A good image is a trait of a blog post, no doubt about that at all. About your suggestion of using video presentation, it is a good idea. In fact, there are many blogs out there who use video presentations to great success. But my personal take on the topic is to use short videos only. Long videos, it has been surveyed to find that, are a bit turn off for people. People, it has been reported that, prefers short, to the point videos. A good example is my friend Ryan Biddulph, a great giver of things. He makes these 30 seconds to 1 minute videos. They are power packed and are quick to surf through. Hope you get my idea. I wish i won but i had never won this type of Contest so this time giving a chance and trying hard to win. You never know which day is going to be your lucky day, buddy. I believe that our luck and destiny are written by our own hands! Go on, try tirelessly! I’m sure that you will achieve success one time! It could be this very time also! you tell everything right that we never know what we will get in future all depend on our luck and we create our luck with our own Hands. There is a winner between us only so who will be any guess ? I believe this is the reason why most of the bloggers are focusing on digital infographics and I can see them on each and every blog. For the importance of images we can take “pinterest” as an example. There we can only see images and second example would be instagram. So in any case images have more importance than long boring post I guess. Many of blogger started creating Infographic which look quiet attractive and even it attracts the user attention as our eyes loves graphical view where we found something unique our eyes go their and have a peak. Even though I do use more and more my own older or at times purposely taken photos for my blog posts, I still use some online photos as well when the topic of my post is asking for it. I didn’t know about depositphotos, and will check them out. Someone told me, though, that even when you purchase online images, you could still have issues at times as their rules and regulations change, so when you use an image that is now YOURS there is always a warning sign attached to it. Just something to remember. as you said when using some online images which you have bought from Sites like depositphotos they do change their Rules and regulation but when they do this they let you notify by mail or any other way that these rules are changed but untill right now i had not seen any changes in the rules of DP. I think new rules take effect as from the day they are made public. I don’t think they go back to affect already published images except that is really stated. I’m no expert in this field though but I think whatever the changes, images you already published on your blog should still exist under the rules prevailing at the time you got them – something like that. You are right i am also trying to explain this only with my comment to Sylviane. Even if they change the rule they will notify it and they should not affect the previous users too. You are right Enstine and Suprabhat, the trending rules and regulations or policies at the time of usage should be adhere to. When the policy is changed then you can now be flexible to do whatever they have imposed. You replied to our comments that good work.Ya we are free to do anything we the photos we have used before the guidelines changes according to the previous Rules they are even not that much strict. Hi Madam Sylviane, it is great to have you hear. Photos are always cool to be used in when demanded to be used. It is cool you now know of depositphoto and i agree you check it out. Suprabhat is right to say when policy about the photos at depositphoto is changed, you will be notified. Nice review Enstine Muki . You touched on a lot of points and set a lot of things clear that people have been wondering a lot about. I love the photos on this site. The are of excellent quality and cheap too. I’ve used their images in two projects now, and plan to carry on using them in the future…their client support is quite good too, I had an issue with my downloads and they sorted it within 24 h. Excellent all round. Thank you for your reply . I’ve bad experience with many other sites like Depositphotos , but i find it good Way to find Blog post images and it offers a great service to its users and contributors. Hope all is well and that you’re having a great week! You can freely use deposit photos easily and efficeintly my friends all started liking it and even they started to share them with others. I hope you are also enjoying it too. Great to hear that you had great experience with Deposit Photos . I’ve just started using it and so I’m not able to come up with a right idea about Deposit Photos. Since , you’ve been using it for kinda long time do you think there is any flip back for Deposit Photos . Maybe you mean is there any backflip on Depositphotos ?? if Yes, i’d say theres many Backflip stock photos at the best stock photography agency with millions of premium high quality. My luck I don’t have any issue with the DP and I guess mostly we can’t face any issues or we can easily get support. I bet 6 month subscription pack is really worth trying and we can get lot of images and would be enough for couple of blogs. Glad to find that you’re running a commenting contest. I love commenting contest, you know? Lot of interaction, ideas and stuff like that. As my blog theme’s (Enpine) main part is featured images, I should choose best images to get clicks (It neither own a photography blog nor a wallpaper blog but just a blogging tips blog like you) So I first visit stockphotos.net for free images. If I didn’t find anything good there, I just Google and search for an attractive and copyright-free image and if I didn’t find one, I create my own image. But when I Google for images, I usually find images of Stockvault and DEPOSITPHOTOS! And the photos available in this site are alluring! PS: Your commentluv plugin is not working man. Fix it ASAP. Nice to see you here. And it is good to know that you too are taking part in the contest! Yes, as you said, commenting contest are exciting. Blame it on the level of engagement that it creates. Yes, talking about your blog and the theme it uses, I’m sure that it is an image focusing one. Also, you, as a blogger, gives good attention to the images used in each blog post. You never know whats there in mind of Ensitne he always have some unique idea as i always says He keep brining some thing new which every body like lets take an example like comment contest only. Sriram! I think I was also using google images but later read somewhere that it would lead into some issues. So I would have to use non copyrighted images. It’s really great to see you here. You are doing great by arranging these contest bro! Talking about the Review, I don’t think here any Blogger is not aware of DepositPhotos! After all, It’s the best and the biggest royalty-free images marketplace. Now someone speaks the truth and that person is my wonderful friend – Sourav. Thanks man for telling us this. Vivesh I think was only speaking for himself…..cus I for one have never hard any encounter with DP until today, thanks to Enstine though. So that happened to them in the past? What a great tragedy and lost it would have caused them. I hope they’ve learned their mistakes. I think now you are talking for yourself bro! I think maybe you have never concentrated on Royalty-free images for your blog posts and maybe you just download them from Google Images and add them. The contest keeps being better by the day and it soon will be the talk of town just like Kingged.com but just one thing I do not agree with you. Before today, I didn’t not know nor have I heard of DP…..so you might only be talking for yourself. well bro i have been hearing feedback about them, tho never used it,probably cause u never had the chance to get it laid out the way Mr Enstine just did.. I will consider taking a look into thier affilliacy program first, them maybe with time i get fully with them . really it was such a nice contest and i liked to participate in it. This is an awesome feeling to be part of it. Let us know do you use depositphotos you liked it or not ? I guess it’s the contests which is helping us to gain more and more knowledge about the new products and I’m really amazed that Enstine has bringing really great stuff here. I’ve started using Deposit photos just few days back and so I have nothing detailed to say. Still, as far as I know Depositphotos have proven itself trustworthy over the past two years, operating without any major scandals. And that the staff are coming out and attending events provides more comfort. Another great contest indeed brother and have you seen the post I wrote about the contest and how I won 80 dollars from the contest on my blog? If you haven’t just search for Blogging Whiz on Google and you will see the post I’m sure. Wow, you’re also using DP? Now, that’s great. I wish I am. 🙂 So I don’t have concrete news to share about them as I have not used nor heard about them before. You have my friend, what’s your take about them? yet another great contest and topic is no less. using images is the lifeline of blog or online business and getting a royalty free image is a great thing that is not possible easily. Yeah you are right about the images which gives a new life to posts like most of the readers are attracted towards to the posts by seeing the images. I’ve already experienced a tremendous growth of traffic only by using pictures which are attractive. I’d also recommend you go for it sooner or later. Good to see you here that you had used depositphotos and liked it collection and i know they will lead the business and i guess they are leading too because everyone had given positive aspects only no one has leaved negative points about it. Enstine thanks for making us know about Depositphotos. Blogs and websites can only get success when good quality photos are used in articles….After reading this post many people will start making use of Depositphotos..I hope that bloggers will be able to find many attractive and useful photos using Depositphotos.. There are many stock photo websites but depositphotos is little different from all others. Not only it has multiple language support but it also have photos from different cultures and cities which I like the most. Pawan! Trust me I’ve used most of them as I like to try or test each and every service some times. But I’d say their is something special in Depositphotos, likely the packs and image quality and quick support. Even i had also used depositphotos and had liked many of it categories are made for us or should i say they are so many categories which are useful. Depositphotos is indeed is like a heaven for those bloggers and internet marketers who can’t afford to hire a professional graphic designer and as well as it saves lots of precious time , you can quickly get what you are looking for . It never despondent me whenever I brows it to get a relevant picture for blog post and the best part is that totally free of cost and royalty free too . Dude! if you are more serious about the royalty free stock images then I’d recommend you to for premium packs which are affordable according to your budget. If you go for paid packs then you can expect more quality without any watermark. You are free to use images in any way you want and can easily put your water mark in it , I guess the free images comes with certain amount of rules so why not go for premium subscriptions? Hi Haroon, yes its trues deposit photos is mostly used by those who cant afford to hire professional photographers to run projects for them. But just to let you know, There are actually big web companies and blogs, who dont lack the cash to finance photographers to carry out thier graphic projects, WHY? ofcouse, you will be paying them MORE for DOING LESS than what you would have gotten from Deposit Photos at a giveaway price. Thats what makes Deposit Photos a Solid ground for Web graphics…they are simply good at it. i must say, this mark the 16 post i’m reading on this blog. all posts i’ve been reading here are a bit of either to give me a helpful clue for my next challange or to learn from my previous mistakes. indeed, without saying much, this post is to make me learn from my previous mistakes “using copyrighted and free images on my content”, i think with the help of this post, i have learn to budget for premium stuff rather than free stuff. after receiving RSS feeds via email. 170 comments already, it’s amazing the response you get from these kind of contests. Regarding Depositphotos, I should say that I love to pick images from this type of services, instead to create pictures myself or look “through the web”. They have a huge choice and the quality is the best. Thanks for the contest, good luck to everyone. Very good to see you here with great words. Yeah Enstine has done a superb job by providing awesome opportunity to participate in the contest and in the mean while we can learn lot of things from the fellow bloggers by sharing views. When we are trying to purchase anything I should say we have to prefer quality first and its matters a lot. Do you find anything negative in it ? it was my friend’s birthday and i found a perfect image for the occasion! would prefer it from the next time! I have used DepositPhotos royalty free stock images in the past in one of my blogs.Believe it or not my readers how do you find such awesome images man? They will like they are real jealous from me lol! I personally think DepositPhotos is the best image site for royalty free stock images! I guess Abdul salam is also photographer as I’ve seen lot of awesome pictures at his facebook. I guess I’d have to take a look at your blog once. I actually have never used stock photography before, so this is a great post for my personal learning. I know that stock photography are photographs that are licensed for various needs, and the quality is absolutely stunning. And this is definitely cheaper than hiring a photographer. However, for things like personal photos, hiring a photographer is what you should do, right? I mean you won’t be able to find your personal family portrait for instance on here. Unless I’m misunderstanding something. The thing is, while this is cheaper than an actual photographer for more general photos, I feel that depositphotos is still expensive? It could be just me. Rather than buying stock images, couldn’t one just use other photos from google images (for lack of a better example) for their blog – as long as they give credit to the original source? Wouldn’t that be all right and save money in the long run? I’m sort of a newbie, so if someone can give me more insight on the matter, that would be really helpful. Great article and I’m definitely interested in learning more! Hi Rogers, ‘I like that feature too, so if you don’t need any images, you dont pay a dime! Unlike some platforms that are trying to reap people off with flat rates/monthly subscriptions. In monthly subscriptions the best one is 6 months plan which you can get around 200 images per day. So by this plan you can easily get them into your PC and use it for later purpose. Isn’t it so cool? Deposit Photos is a great platform and I usually use them once a while. I am a great fan of Google image search, so I hardly use free stock photo sites like deposit photos except in rare cases. This is indeed an educative post. A good review. I started my blogging from Google’s Knol pages, where I used to take pics from different sources and use it for my knol posts one of the senior author their warned me: “Philip, you can’t use picture as you like from here and there, and he explained it very well, that time i used to take pics from sxc.hu and without even knowing the water mark in the picture i used it very liberally, he warned me about its other consequences. and at ones I removed most of the pics and posted free pics from sxu flicker and few other places. Now whenever someone uses such pics surely I post an alert note in their comment box to make aware about its seriousness. I never knew about this wonderful website you reviewed here “depositphoto” I just visited and had a look at the places, indeed its a lovely place and to have pics from there is really worth. Thank Einstein for introducing this valuable place for your readers. You really did a wonderful job here with this review, you covered almost all needed aspects, indeed this will be a great help to the newbies in the blogging field and sure people like me its a great help. 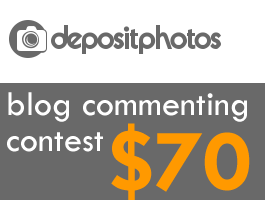 #1 – A ton of people want $70 lol! #2 – awesome idea to drum up traffic! Will share for you bro. Oh My God Enstine 🙂 what a strong & valuable post about “free stock Images” Enstine you can’t Believe that I was surprised to see this post, Because I need it. Another explicit and explosive review from your end sir…….Kudos to a job well done! What can I say? I think images are what breads life and meaning to our contents….I have seen some bloggers who does that well, I mean when they post image that stands as a kind of mini-exegesis to their contents. I’m always very impressive when I come by those kinda pictures. And yes……..stock photos are the way to go and DepositPhotos is just another cool one. I heard it’s been out for sometimes now but it’s quite unfortunate that I didn’t know them neither did I hear about them until now….Thanks boss and just to let you know, I have just registered with them. I never used Depositphotos but after reading this post, it really seems interesting and helpful. Quality and size, both are the two most important factor for which everyone is looking for and Depositphotos provide both of us. Thanks for sharing Depositphotos with us. Now, I am surelly gonna use it. BTW Thanks for this Giveaway Enstine. May this time, the luck will be in my favor.